Happy April 1st! I can't believe we are in the 4th month of 2015 already! But what is fun about a new month? New challenges! Woo! Hoo! 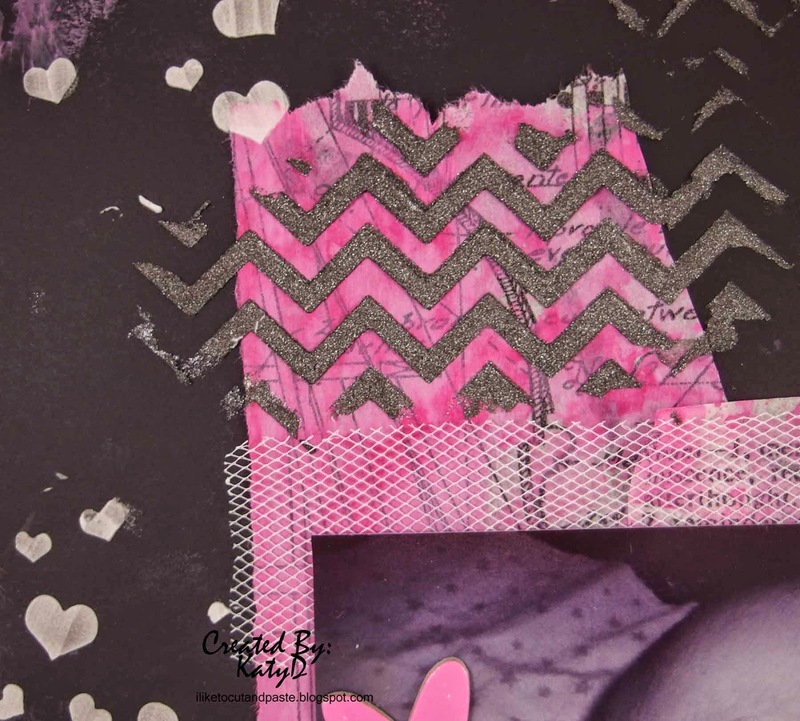 And the challenge at Scrap It Girl is to do a project using black, white, and one other color. I used picked raspberry distress paint for the Tim Holtz tissue paper. I had put in on my mat and spritzed water. I pulled the black cardstock background paper through what little was left and those are the faint spots here and there. They are still pink. I was pleasantly surprised! Be sure and stop by Scrap It Girl and see what my teammates create. So much beauty and inspiration! Sooooooooo gorgeous! LOVING the colors and the hearts!!!!!!!! Such an adorable layout and adorable niece!! Love your color scheme and your design!! WOW! !